Main bowl with extra large feed lid and pusher - for mincing, mixing, chopping, kneading, grating, slicing, emulsifying, beating and more. Mini bowl and Blade for chopping herbs, onions, salad dressings and Baby food. Parmesan disc for hard cheeses, crushed ice or grating Chocolate. BlenderMix attachment improves the blender function of the food processor for better soups, pancake batter, milkshakes and smoothies. egg whisk for whipped cream and fluffy meringues. The main sabatier stainless blade, for purees, chopping & liquidising. Citrus press with small cone for lemon or limes, large cone for Oranges or Grapefruit Juice. Also includes a instruction book with over 100 recipes, tips and diagrams. 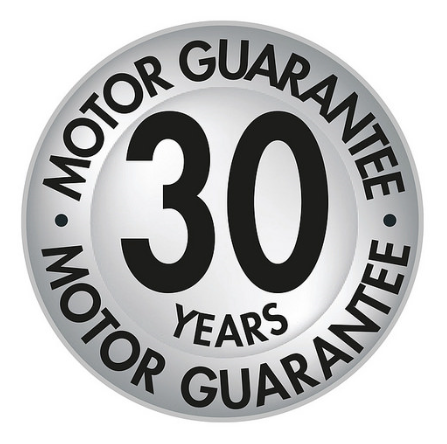 Magimix Motor is guaranteed for 30 years and parts for 3 years for normal domestic use. There is no Commercial warranty with this product. 1mm Slicer for thin slicing of fruits or vegetables for crisps. Juicer / Smoothie Kit, A juice and coulis kit , For homemade juice, smoothies, jams, jellies & sorbets. Magimix Dice and Baton kit, for producing amazing cubes of vegetables or fruit or Straight Batons or 10x10 mm Chips.